About 400,000 seedlings bought by the government to plant in Northland have gone to waste after the land was too wild to plant on. Mr Jones said only 200,000 seedlings were successfully planted because the land wasn't up to scratch. "Well the land is untamed land, it's wild, and obviously the analysis that was done on the ground was a lot more ambitious in terms of what could be delivered upon,'' he said. About 600,000 of the seedlings were re-distributed to other forestry ventures - many of which are with iwi and have existed for many years. Mr Jones said he'd been clear with officials involved in the botch-up that it's not good enough. "I'm certainly not trivialising $160,000 for people all around New Zealand and particularly in the North - that's a huge sum of money," he said. "The officials will be giving an account of who did what and why it's turned out this way. Rest assured I'm not sweeping this under the carpet and that's why I'm speaking publicly about it." Mr Jones said part of the problem was the government was elected in October and planting started four or five months later and "perhaps those targets were too ambitious''. Documents released by Treasury reveal they were highly critical of the grants and fund and said as much in a briefing paper to the Finance Minister Grant Robertson. Officials said there was "little detail" that came with the Budget bid and they didn't support Cabinet approving it. Mr Jones said Treasury gave some "predictable cautionary remarks", which he's taken into account. The details had been worked through since that briefing paper and he said he's confident Treasury's concerns have been covered off. The greater details of the partnership fund and grants programme will be released later this month. Ministers James Shaw, Eugenie Sage, David Parker and Mr Jones have all been involved in the work. Mr Jones said Treasury "prefers to see the whole picture before an in principle decision is made'' but Cabinet was never going to give final sign-off unless all the details were worked through, which they now have been. He said the grants had a "long and rich history" and they've existed over successive governments. 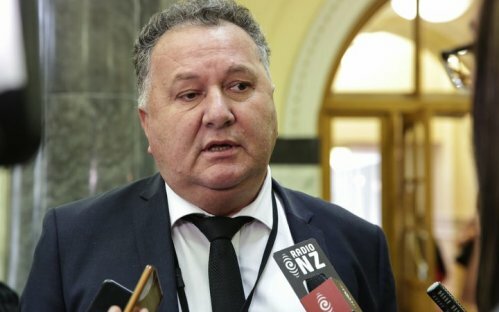 "It's not as if we're starting from scratch - the Ngāti Hine situation is challenging not just because of the tameless nature of the land, including the owners - but the fact of the matter is we're starting from a very low base because the Crown has been out of this sort of business for nigh on 25 years,'' he said.